Serving the courts from Somerset, across to Dorset and down to Land’s End, at HMP Exeter many students are awaiting a court appearance or to be transferred to another prison and so time is definitely of the essence! Built in the mid 1850’s it has an operational capacity of 560 men and the education curriculum plays a vital role in helping them progress in both their employability and social skills by offering short courses that can be the start of their learning progression at another prison or a vital stepping stone to further development upon release. With a bedrock of functional skills English and Maths from Entry Level to Level 2, the curriculum also offers access to IT and Employability based courses on the Virtual Campus. Personal Social Development is not forgotten, with men able to address their attitudes and actions through the Behaviour Change course, learn how to support others through the Peer Mentoring qualification, or explore their creative side in Art. Helping give men a practical skill to carry forward into a real working environment is just as important and our Painting and Decorating, Horticulture, and CSCS construction card courses offer the opportunity to get a vital first foot firmly on the vocational ladder. 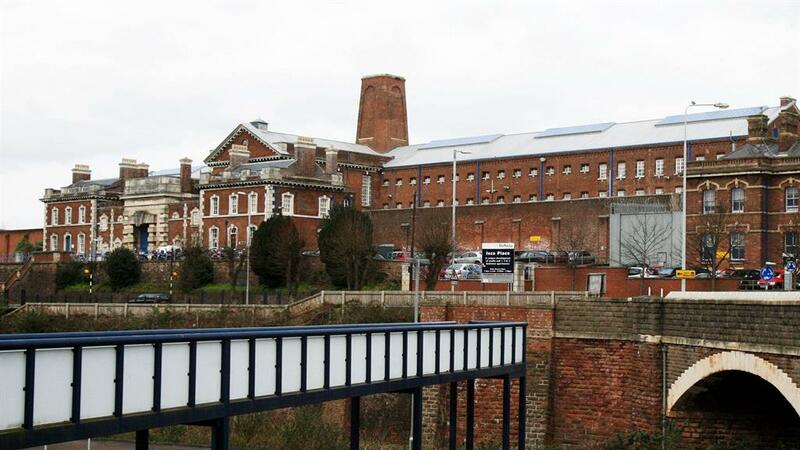 HMP Exeter received an Ofsted grade of Good in their last inspection (click here to view). "I've reached an age where things need to change..."
Having been in and out of HMP Exeter for more times than he or anyone else could remember, homeless Jake (not his real name) had decided that he had reached an age and a time in his life when things had to change; change for the better and change for good. Assessed with a low level of English at Entry 2, along with his tutors he had set himself a target to reach the next level. With a great deal of patience, determination and support Jake stuck to the task and just two months after returning to prison he had not only sat and passed his Entry 2 English exams but was well on the way with Entry 3. By passing his Entry 3 Jake achieved his own target with style and perhaps would be happy with that, but no. Jake has now embarked on his Level 1 English and he is equally determined and focussed to give himself the opportunity and the skills to turn his life around upon release. In local jails such as Exeter it is sometimes difficult to get to all the people who could benefit from education - "F Wing" is one of those places. 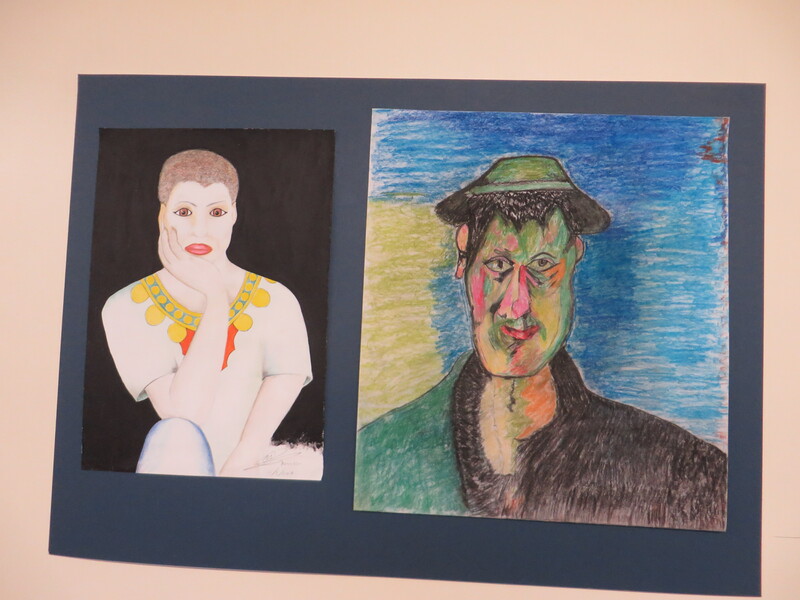 Housing elderly, infirm and seriously ill prisoners, F Wing throws up some distinct challenges, but when the Art tutor suggested she run a two week course for them they grasped the opportunity with both hands. With a full class of nine each day and skilfully addressing diverse needs the tutor was able to engage and inspire a group of learners to be more creative, stretch their minds and their imaginations and work more closely together in a safe and supportive environment. Such an initiative is a credit to the proactive thinking of Exeter’s tutors and their passion to engage learners in a constructive and meaningful manner. Unable to stare at a dead piece of ground any longer, the Horticulture tutor at HMP Exeter took the initiative to turn it into something useful. Working hard to get through the usual processes within the prison she remained determined to turn an eyesore into a functional thing of beauty. Now, after a two year struggle, her dream has become a reality and the outside practical horticulture area is finally being used to enhance the students’ learning, giving them practical horticulture skills and the ability to work together as a team; skills that can be effectively transferred into the real working environment and support their future aspirations for meaningful employment and resettlement into society. "Here I sit so alone and say, Missing everything that I once had, I’ve lost it all for being so bad, Now I’m here and slowly going mad. Doing that same things day after day, Trying to change your roughful ways, Doing your courses and going to school, Trying to make a better person of you. The more you do the more you struggle, The more your mind seems in a muddle, You must fight on to the very end, And make education your long lost friend. So when things get hard like they sometimes do, Remember the teachers that time out for you, So don’t be idle and lie on your bed, Try to remember what the teachers have said."